Entering the 2017 Mercedes-Benz S-Class interior is like walking through the doors of a palace. This cabin is designed and refined according to the highest standards in the automotive industry. It offers discerning drivers a stunning mix of stylish looks, premium features, upscale amenities, and superior attention to detail. 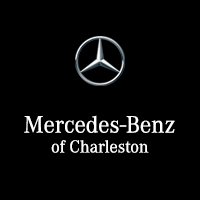 When you’re ready to see what accomplishment looks like, visit Mercedes-Benz of Charleston for an in-depth tour of the S-Class sedan. All your cabin controls and references are centrally located on a pair of 12.3-inch display screens. Navigating through the extensive list of entertainment and information features available to you is simple thanks to the exclusive touch-pad controller. When the weather is particularly hot in Beckley, you can switch on the ventilated seats. And when you trying to get rid of a chill, you can switch on the heated seats. But however the climate is, you’ll be able to enjoy the supple leather upholstery. This luxury sedan allows you to set independent temperature controls for four different zones in the cabin. That way, the atmosphere is always perfectly comfortable for you and your passengers. As impressive as this cabin may be, you want to keep your attention on the road. Essential information like your speed and next navigation instruction are displayed right on the windshield subtly within your natural line of sight. If your goal is to drive something ultra-premium around Huntington, this model gives you a number of coveted upgrades to consider. For instance, the cabin can be equipped with a 24-speaker Burmester® sound system that produces pristine audio. A panoramic sunroof is also available that opens up almost the entire roof of the vehicle, and you can even install in-car Wi-Fi and give your passengers control of one of the display screens, essentially creating a large cabin computer. Whether you’re swayed by the opulent S-Class interior or you’d still like to consider another Mercedes-Benz sedan, you can visit our dealership to work with our top-notch staff. We are happy to guide your through our inventory and advise you through the financing process. We strive to provide our customers will top-notch service, and we invite you to contact us at any time with your questions.